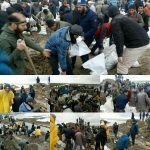 A week after the flash flood covered 30 of 31 provinces of Iran, the corrupt regime has still not done anything to help the victims. It’s only the local people who are rushing to aid others in the region to prevent more damages. The Friday prayers Leader in Shiraz was cursed by the public during his propaganda visit to the flood-ravaged city this week, according to comments published on the state-run IRNA News Agency on Thursday. Dezhkam that clearly displayed his fear of the public outcry, said: “I was cursed a couple of times while visiting the flood-stricken areas, and I’m distraught,” he said. The regime cleric admitted the mismanagement and corruption within regime officials that has increased the damage to the people as a result. In a bid to put the blame on other rifts within the regime, he was critical of the choice to pave over a watercourse next to the Quran Gate in Shiraz in the early 2000s. The watercourse provided drainage to the city and prevented flooding for hundreds of years before the municipality decided to build a road over it. Dezhkam, the mouthpiece of the Supreme Leader,while putting the blame on the other factions said: “We have to see what the municipality has brought on to the people. When the municipality itself violates the boundaries of a dried out river, what do we expect from the people? I saw the violations of the municipality in two or three places myself,” he said. According to local and eyewitness reports, more than 150 people perished in Shiraz when flash floods swept through the historic Quran Gate on March 25th. 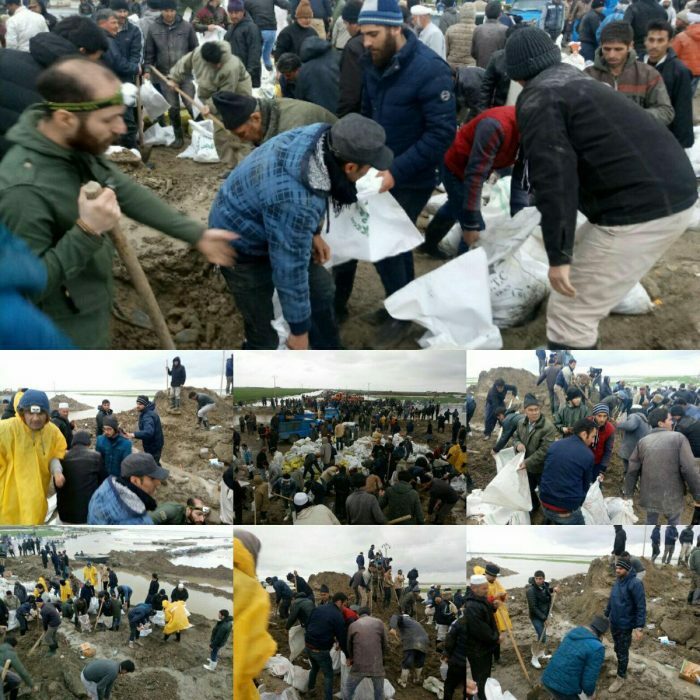 Regime President Hassan Rouhani visited Golestan Province in northern Iran on Thursday, March 28, with a week delay since the flood hit Golestan Province. Golestan was one of the first areas in Iran to be hit by the floods, and it sustained some of the most severe damage. Flood victims in Golestan and across the country are worried though. Government relief has not arrived, so citizens have mobilized to help each other rebuild. Mrs. Maryam Rajavi, President-elect of the Iranian Resistance, issued a call for the people of Iran, especially the youth and the MEK Resistance Units, to rush to the aid of those who are suffering after the floods. The town of Sarpole Zahab, Kermanshah Province, was devastated by an earthquake over a year ago. The residents of this town have been living in harsh conditions in tents and trailers since then and trying to rebuild their lives. The floods washed away these tents and trailers, leaving them with nothing.